We discussed the toughest games on Tennessee's schedule in 2016, legal troubles at Alabama, and more on RTI Radio. We discussed the Thunder stealing Game 1 from the Warriors, Alabama's offseason arrests, and more in What's Buzzing. 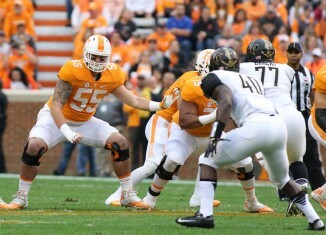 Tennessee offensive lineman Coleman Thomas was named to the Rimington Award Spring watch list on Tuesday.